Musings Of An Ink Addict: Cards, Cards, Cards! It's been over a year since I created these cards for Scrapbook News and Review Magazine, which means that it's way past time to share them! I love a shaped card, something different than the standard square or rectangle, so this card was right up my alley. 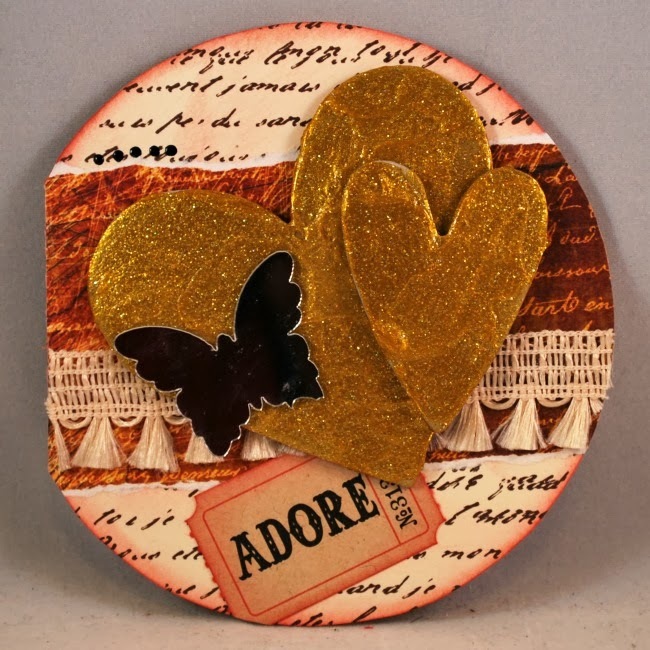 Lots of layers of patterned paper, chipboard hearts covered with Art anthology Sorbet, a bit of fringed trim, an Adage Ticket, and a mirrored butterfly...fairly quick and simple but with a stunning effect. 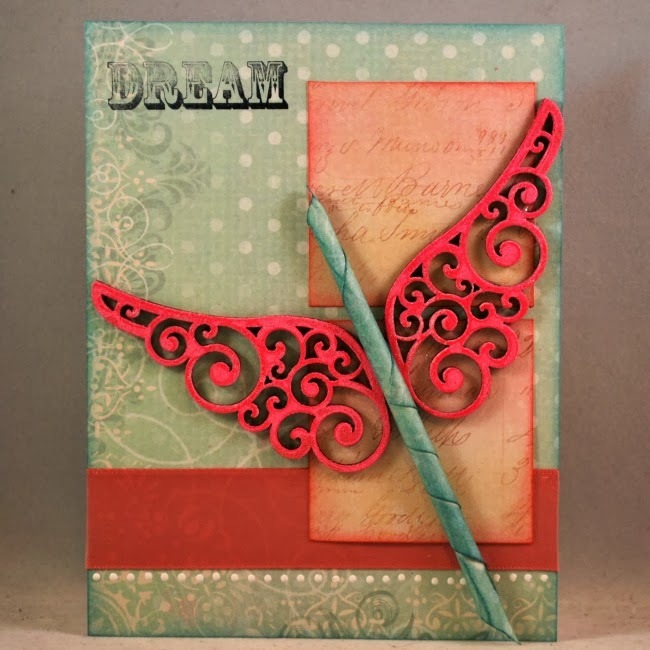 Next up, I began again with layers of patterned paper, chipboard wings that were heat embossed with WOW Embossing Powder, and a stamped sentiment. The body of the butterfly was created by simply tightly rolling a strip of patterned paper. And lastly, a very quick and simple card. 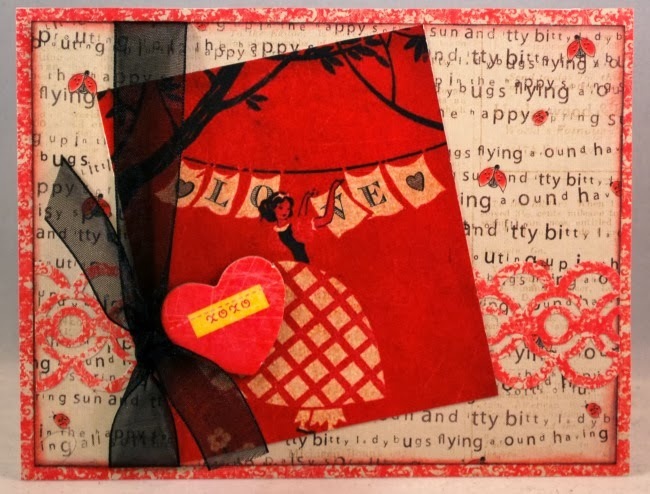 Again, layers of patterned paper, a bit of ribbon, a chipboard heart...simple right? I hope you've enjoyed these cards and your visit today!